The following was a response I wrote as part of my application to the Charles Abbott Fellowship. It contains some thoughts relating to Kiss Me Kate and the challenges and opportunities of staging a classic American musical. When I say relevant, I mean that I want the lead characters – the characters who carry the emotional weight of the show – to feel more real. It would be so exciting if you could create the same suspense that a good romantic comedy evokes, where you root for the main couple to get together but you don’t know until the end if they will or not. In a classic musical, where much of your audience has seen a previous production of the show (or can take a guess at the formula the show is based on) it’s certainly difficult to build any “will they or won’t they?” suspense – I don’t think I’ve ever experienced this with a classic musical – but it would be incredibly powerful. I think one of the worst and most human things about love is how completely uncontrollable it is. We don’t control who we love. We can’t will ourselves to stop loving someone. And it’s agonizing to love someone who you believe you shouldn’t love or to love someone who you think doesn’t love you back. I don’t want to just accept that Fred and Lilli end up together. I want to genuinely believe that Fred is the only man who could truly make Lilli happy and vice versa. I want “So In Love” to rip your heart to ribbons. The more the lead characters can be fully human, the more we are willing to forgive them for having beliefs or attitudes that are somewhat archaic. , I would love to see it have more emotional impact. How do you make it more than “nice”, more than just “amusing”? 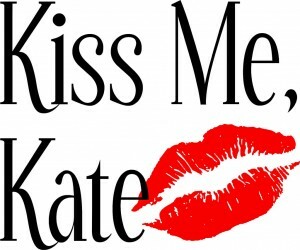 To me, this is Kiss Me Kate’s biggest challenge, and its biggest opportunity. 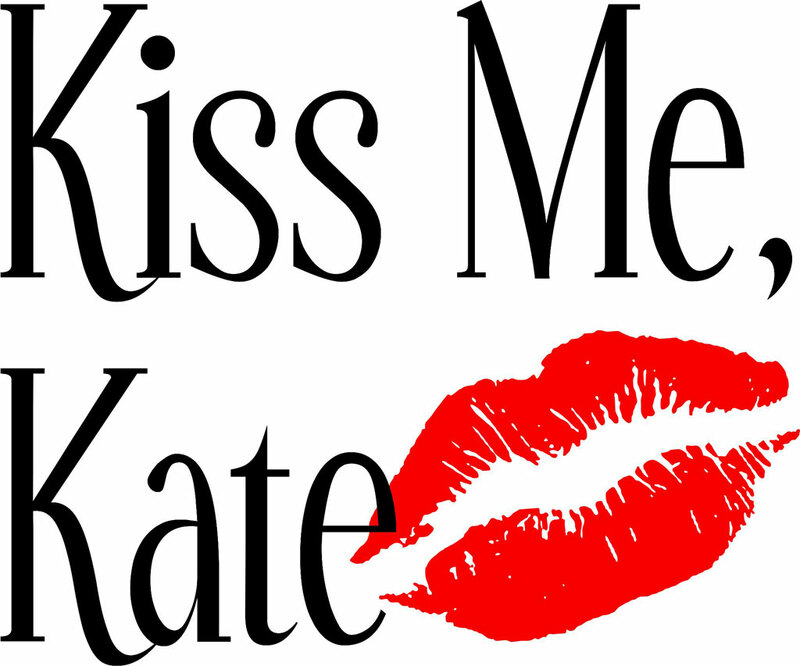 In watching the 1999 London version of Kiss Me Kate that’s available on YouTube, I was very turned off by the portrayal of the leading female characters, Lilli and Lois. Ultimately, it struck me as a rendering where the women were significantly more flawed than the men. The men seemed to end up on top and managed to maintain a bit more dignity. And while I realize that this is in text of the book and the lyrics, it’s not something that appeals to me. One of the challenges of a classic musical is that you are limited with regard to what you can change. This can become doubly challenging if the piece reflects attitudes or stereotypes that are less acceptable today. Sometimes this can be mitigated by cutting certain numbers or getting permission to modify some of the language. However, with a work like Kiss Me Kate, I don’t see that being the answer. I would be curious to see if the men and women could be rendered as equally flawed by tweaking the casting, interpretation and physicality. I am not interested in one party “taming” the other. I am interested in two evenly matched parties who learn they can’t out battle each other and realize they are very much in love. For starters, I would love to see Lilli and Fred be the same height. (I would also love to see Howell cast significantly shorter than Lilli or Lois so that 1) he can’t physically dominate either of them and 2) it becomes more apparent that they were both with him because of his powerful position. And I think it could be really funny.) Or at least the same height when Lilli has a heeled shoe on. In this way, they visually become equals and Fred ceases to be someone who can physically dominate Lilli into doing what he wants. I think this could also add to the insecurity that Fred feels around Lilli. In the fight sequences for this show that I’ve seen, Fred and Lilli seem to beat each other up with equal success. However, Lilli has specific lines about how she can’t sit down because Fred has beaten her so severely, a gag that continues to be exploited as the show goes on. I would love to see – within the physicality since it’s not mentioned in the text – that Fred has also sustained some lasting injuries that Lilli is able to periodically exploit. With regard to the relationship between Lois and Bill, I would love to ramp up the issue of Bill’s gambling. This gets brushed under the rug with a kind of “boys will be boys” shrug. The text says it’s not the first time he’s lost a significant amount of money gambling. It could be that Bill’s debts are part of the reason why Lois needs to see other beaus – because she’s paying for his losses and, rather than live on beans and rice, dates other guys who can pay for her dinner. I wonder if a visual reference to Bill’s gambling could be planted in or around “Always True To You In My Fashion” as a way to link their transgressions – a sort of “you do this thing that you shouldn’t, which makes me do this thing that I shouldn’t”. I don’t think it’s too much of a stretch to imagine that if Bill were able to hold on to his money, he and Lois might be able to settle down and legitimize their relationship. Additionally, while Lois could just be played as a dumb tart, I think it’s also possible to play her as someone who pretends to be dumb and uses her sexuality in order to get what she wants. While the second option is perhaps a bit darker (and maybe even less comedic) it’s the more interesting interpretation to me. The flip side of evening out this dynamic for the women, is that it allows the men to also be fully-developed, thinking, feeling characters instead of just caricatures. Love stories are not new. They are one of the most fundamental human narratives. If they are told specifically and allowed the full spectrum of thoughts and feelings that accompany them in real life, they cannot help but draw us in. If not, they become irrelevant and easy to step over on our way to something more interesting.